The mule has made a comeback. Mules are basically any shoe that is backless. They can have a closed toe or even an open toe. The heel can be flat or high. The most popular ones today have a mid-heel. Gucci mule loafers — you know those, your favorite style blogger has two pairs, minimum. Mansur Gavriel mules candy colored suede, understated just like their popular bucket bags. 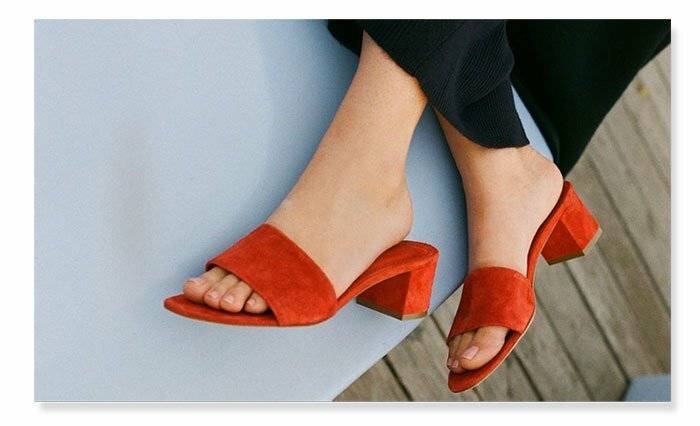 Maryam Nassir Zadeh — the master of mules in wedge form or otherwise. But they all have one thing in common: they make the most basic outfit good to go. Once you’ve tried a mule, you don’t go back. 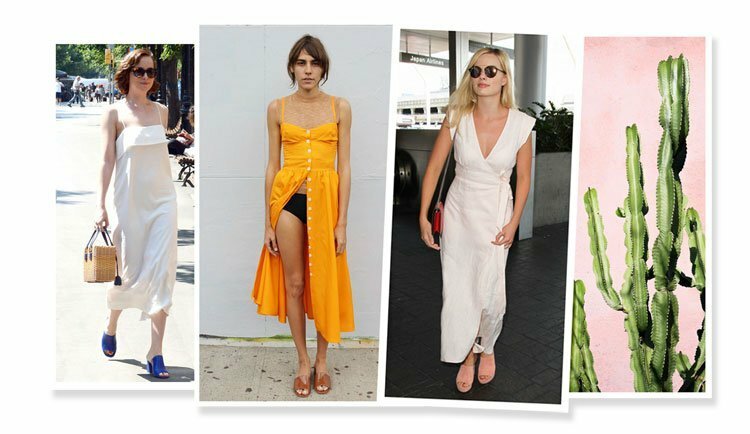 6/17 Vogue editors agree that the mule is the best summer shoe. Why? Mule shoes are simple and in the summer, you want everything to be as simple and easy as possible. You’re at a friend’s house and she asks you to take off your shoes. UGH. Don’t they know how long it takes to tie these sandals up?? Fine, I’ll take them off so you don’t have to re-vacuum your apartment. The night is wrapping up and you’ve had a few margaritas… Your balance isn’t that great to begin with and now you have to deal with also lacing up your sandals… Loads of embarrassment ensues. With mules there’s none of that. Just a quick slide on, double kisses and “thank yous,” and you’re out the door. Why deal with stilettos when your legs can look just as long in a mule? Why deal with gladiator sandals when you can look just as cool in a mule? If you are not keen on the simplicity of Maryam Nassir Zadeh, upgrade to a pair of Rochas jewel-embellished mules… While the embellishment has been taken to the next level, they still keep that inherently simple slide on foundation. You get the best of both worlds with a pair of mules in the summer, they’re where style meets functionality.